Atlas products are available exclusively through Menards®. Menards® is the Nothern Midwest U.S.
premier provider for building products. Check here to locate a store near you. Your roof protects you from more than just the elements. It protects your entire investment, your plans and your dreams. our website. Submitting your request for a warranty registration has never been easier! Your new Atlas Signature Select® Roofing System offers beautiful, long-lasting protection backed by the industry’s best warranty coverage. Peace of mind comes standard when all of your roof components enjoy quality coverage. When you chose Atlas - rest assured that you chose the best. Register your warranty today. 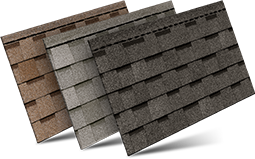 Your new asphalt shingles are backed by the best warranty coverage in the industry. You can register your Atlas Shingle Warranty or Atlas Signature Select® Roof System Warranty online, or ask your contractor to do it for you. Take advantage of exceptional protection. Register your warranty today. Sign In or Create a FREE account and start seeing the rewards!